A book plagued by creative team changes and artist delays is finally getting into a groove. 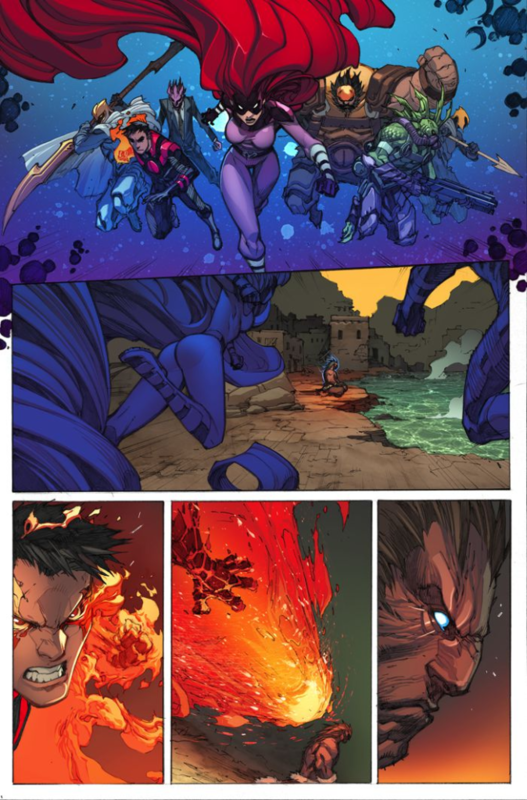 After Infinity, Marvel made a big push for Inhumanity and this Inhuman book coming out of that. Sadly with Matt Fraction dropping off the book late in the game, Inhuman was doomed to lose its traction. Even though Marvel did its best by sticking the first issue in the back of Amazing Spider-Man #1, I’m still afraid that this book may have lost more steam than it should have. This book was written by the man who writes more than anyone else: Charles Soule. The artist here was fan favorite Joe Madureira. Marte Gracia was the color artist here and VC’s Clayton Cowles was the letterer. The cover was done by Joe Madureira and Marte Gracia. Issue #3 picks up right where #2 left off (if you can remember back that far) with Lash bringing a new Inhuman to his home Orollan. 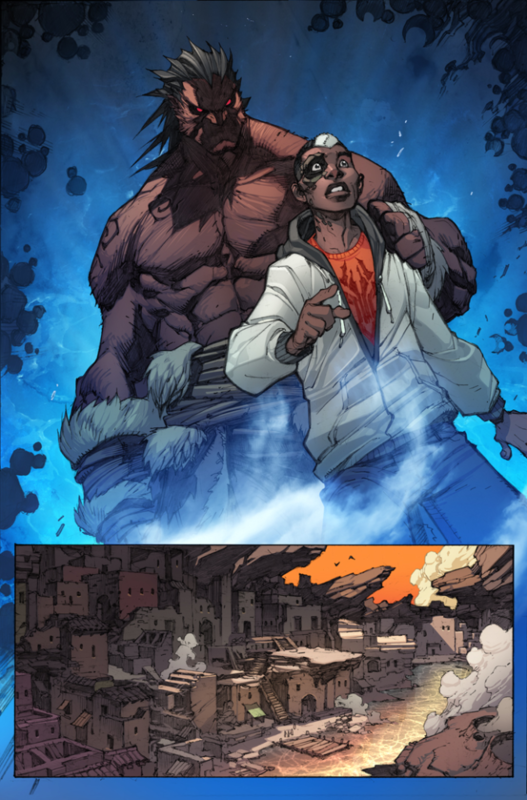 It then brings us back to New Attilan to finish the scene that started at the end of issue #2 with Lineage. We then skip around between seeing Orallan and Dante’s training before a battle ensues between New Attilan and Orallan. It seems that Lash may not continue to be the main protagonist in the future. The most interesting thing in this issue is that we finally get a tease as to what this story is building to. The other thing that I love to see on that last page is that they’ve already announced the next issue will be out in two weeks. One of my personal favorite new writers Charles Soule was the writer here. I think that due to the circumstances in which he got this book he’s doing a good job. As someone who already loved the Inhumans, I think he’s done a good job at capturing the essence of the characters. Up until this issue I wasn’t sure what the story here was going to be but I know feel that the book has a direction and am excited to see where it goes. The art here was done by Joe Madureira. His art had an interesting style although it wasn’t too unique. I have also enjoyed how he has portrayed the Inhumans and his designs for the new characters. Sadly I think that this is his last issue as artist. My final say on this book is that if you weren’t sure after the first two issues and all the delays this is a great time to jump on. I don’t think that this book is anything too special now. I do think however think that Marvel still has big plans for this book and hope that it continues to build steam.